As the constant rumbling is becoming a norm, I’m becoming slightly more blasé about the shakes. I now have a plan: “drop, cover, hold.” I’ve studied the safety video closely – several times. I’ve even practiced under the dining room table. I’ve also done intensive research on seismology, earth science and tectonic plates. I feel informed. I feel I understand the earthquakes. And I’ve rationalised my probability of survival. It’s not as bad as I originally presumed. I’m feeling pretty good. I’m awoken to the house rocking and rolling, I wait it out, and then I roll over and go back to sleep. A rumble hits, I put my beer down, wait it out and then resume the beer. Life goes on. But it seems as soon as you’ve forgotten about the earthquakes another will rumble, as a friendly reminder to keep your wits about you. I’ve experienced more earthquakes in the last 4 days then some people will in their entire lives. It’s a strange feeling. Earthquakes (like other natural disasters) are one of the few things that are completely out of our control. We are just a mere mortal at the fate of the elements. They are unpredictable; we can only speculate what will happen next. No one is completely sure. But, I think earthquakes have some benefits. They make us grateful we’re alive, and question what’s really important. Browsing Facebook in the wake of a quake makes you realise how shallow modern society is. And I’m just as bad as the rest of them. Maybe our urban jungle needs a bit of a shakeup. And earthquakes are a humbling experience, because at the end of that day, who you are and what you do in society is insignificant. They can hit anyone, anytime, anywhere. Whether you’re the homeless man on the street or the CEO on level 12 is completely irrelevant. With that in mind, I’m back to a high-rise building in Wellington’s CBD today. Wish me the luck of the Irish. Or whisky. 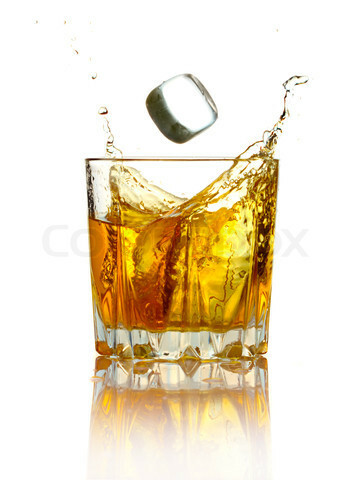 I have been enjoying the odd glass of whisky on the rocks lately to calm the earthquake nerves. It’s maybe an answer to one of the smaller questions. Whisky – a tonic for trembling tectonics?